Any project large or small we will quote for free. A site visit it always important for us to understand your project. Everyone one of our customers gets the same important attention as the next. The initial site construction of any project is the foundation which you build your dreams, projects and goals on. We believe it is one of the most important parts of any idea. please let us show you what we have available for equipment and how we can save you time and money while sending everyone home safe. With our highly skilled team of landscape designers and doers we can bring your ideas to reality. We have the expertise and passion to show you what you have imagined all along. From residential projects to commercial sub divisions. please give us the opportunity to quote your next job. With an skilled team of construction professionals we are ready at a moments notice to help you with any repairs or new installation services you may have planned. Please call us for a quote today. Our skilled construction teams can help you realize your fencing needs and goals. Help us put a little privacy around our way too public world. We have wood, chain link, concrete and wire fencing options. With our vast array of tools as well as fully equipped service vehicles our labour crews can help you with anything from picking rocks and building fences to shoveling snow and cleaning up clutter and debris. We also have crews skilled in demolition. Are you looking to freshen up or build new sidewalks or driveways. Whether it be stamped, exposed, polished or brushed. Maybe you're looking for a pad or foundation for your next project. Please contact us to get you a quote. Our team has more than forty years of experience! Our mobile capabilities as well as our broad experiential knowledge in the oil and gas industry has had our team working on lease locations through out Western Canada. We have had the expertise with non disturbance sites all the way up to padded locations through the muskeg in Northern Alberta and Saskatchewan. In keeping true to the place that we live, we have had the opportunity to work for several different clients in reclaiming land back to its natural state. We enjoy the challenge and we are always looking for new and exciting ways to make the land better than it was before. Please let us introduce you to one of our environmental experts. From your construction site, lease site or any other place that needs to look good. Give us a call and let us get your place ready for business. 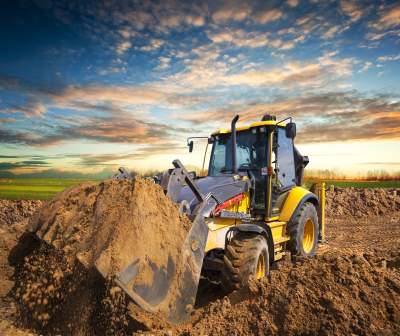 If you're moving dirt, contouring, spreading gravel or cleaning up debris or garbage we're here to assist.